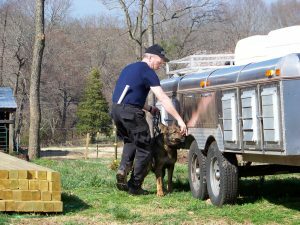 Most K9’s are trained in one area of expertise making them highly skilled and effective at their jobs. K9’s and their handlers have a special bond but always keep in mind these are working dogs, not family pets. NEVER FEED, PET, OR APPROACH A POLICE K9 OR K9 VEHICLE WITHOUT SEEKING PERMISSION FROM THE HANDLER FIRST. 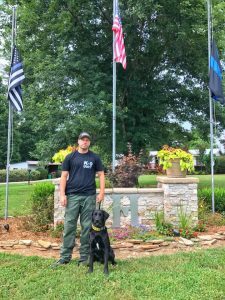 K9 Sampson and handler Corporal Brandon Allen retired in 2018 after serving 2 years with the Sheriff’s Department. Sampson was certified in drug detection and tracking/trailing rescue with Highland Canine Training in North Carolina. Drug detection dogs are specialized dogs in seeking out illegal substances. 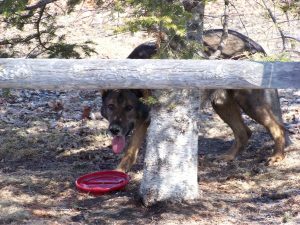 Highland Canine training uses real-world scenarios to prepare their dogs to locate illegal substances anywhere from on a person and their belongings to any passenger or commercial vehicle and buildings. 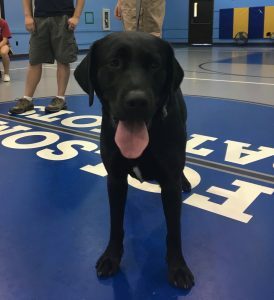 Sampson is trained to seek out several including illegal substances; marijuana, cocaine, heroin, methamphetamine, methylenedioxymethamphetamine (MDMA), PCP, and LSD. If the presence of a drug is detected, Sampson uses a passive “freeze and lock” to alert his handler to the presence of the drugs. Tracking/trailing is used for Search and Rescue calls of missing persons. Tracking is following the scent of a person on the ground, whereas trailing is following the scent of a person through the air. 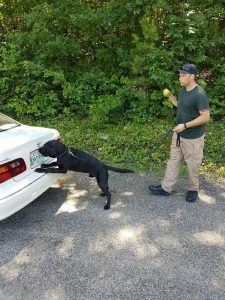 Sampson is trained in trailing which is the more effective method of locating a missing person in a timely fashion. K9 Tom retired in 2013 after serving with the Sheriffs department for 9 years. 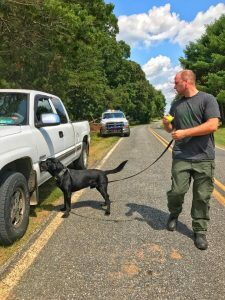 K9 Tom and handler Sheriff Ray Allen were trained in both drug detection, patrol procedures (protection and apprehension), and tracking and trailing. As a result of his training and hard work, K9 Tom saved two lives during his service and had a 100% accuracy on narcotics alerts.